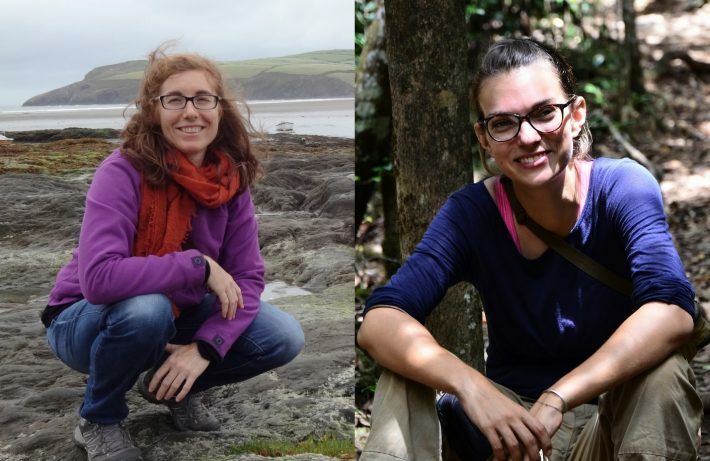 Isabella Mandl and Manuela Gonzalez-Suarez were paired together in the BES Women in Ecology mentoring scheme. We asked Isabella and Manuela about how they benefitted from the Women in Ecology mentoring scheme – Manuela as mentor and Isabella as mentee – and the new outlook it gave them. Isabella: For me the most useful thing was definitely to have somebody outside of my immediate circle to ask for advice. I felt that Manuela had a neutral view of whatever situation I brought to her, which helped me to take a step back and assess it a bit differently. Manuela shared her experiences as a woman in academia with me – it gave me insights that I hadn’t had before. In addition we discussed many other things: how to combine family life and a career, how to read a job advertisement and respond accordingly, how to deal with salary negotiations and how best to respond to reviewer comments. Manuela: the most useful practical aspect was the opportunity to work on how to offer advice without being prescriptive, listen without judging or interrupting and to communicate and set objectives. But the most useful personal aspect was the chance to meet Isabella: a smart and passionate woman in science with whom I hope to stay in touch. Why did you sign up for the scheme? Isabella: I was on the last leg of my PhD in biological sciences. It was a stressful time: I was struggling to finish my thesis, balance my work and personal life and trying to figure out what kind of jobs to apply for. I’d had positive and productive relationships with both my (male) supervisors. But I quickly realised that the world had changed since they had completed their PhDs and I didn’t know where to turn to figure out my burning questions: is academia the only option for a PhD? How do you handle a relationship/family when you are trying to pursue a career? And most of all: what do I actually want to do now? A workshop organised by the Zoological Society of London helped a lot. There, for the first time I heard women having conversations about their experiences in establishing a career. Obviously, I needed more women in my life, so I signed up for the mentoring programme. Manuela: At the time I was 1.5 years into my position as a lecturer. At this stage, the mix of anxiety and relaxation that comes with securing the first permanent position was reaching a balance. I had time to reflect on how I got to this point and how being a woman in science is hard sometimes. I wanted (still want) to have someone to guide and mentor me in this new stage in my career (one thing I love about science and research is how it is always full of new stages, but that is also a continuous source of stress). I wanted inspiration from successful women, and those desires made me think that maybe I could share the experiences and insights I had acquired during my trajectory to help someone else. When I heard about the BES mentoring scheme, I thought this was the perfect opportunity. I signed up because I believe mentoring and support are important and I am very glad I did! Isabella: I haven’t met a single PhD student so far who didn’t question every aspect of their career choice by the end of their studies. Looking at the big picture was important to get out of the funk. Yes, at that moment it was too exhausting to think about research as a career, but where did I really want to be? Working at a university? Or rather go back out in the field permanently? I really thought hard about (wait for it!) where I saw myself in five years. Manuela’s insights into what academics are looking for in potential postdocs, and how academia is structured job-wise, helped shape my decisions. It took away some of the prejudices I had against work at a university. Isabella: I managed to secure a position working as an ecologist for an NGO in the Comoros straight after finishing my PhD. I applied for the job half-way through my last year, thinking I wasn’t going to get it but wanting to practise job applications. I never saw myself working in academia, but I quickly figured out that this really depends on which university you work at – there are some amazing places out there! However, at this moment I wanted two things: 1) to go back into the field and 2) see my research being applied. I guess my advice would be to follow your gut feeling and remember to be open to new experiences if you want to succeed as an ecologist. Manuela: I did my undergraduate in biology in Spain (my home country), then completed an MSc and PhD in the USA. From then on, research and academia were the chosen path. I took a postdoctoral position in Paris, then two postdoctoral fellowships in Spain, and at the age of 39 I secured my first permanent position. Getting here has required moving: five cities and four countries in the last 15 years. Initially I moved because I wanted to, as I got older because I had to. These moves meant leaving friends, routines and in some cases better climates. But it also meant new opportunities. Getting here has also meant noticing and “fighting” gender biases. The challenge these biases present have become more apparent as I move in my career. Partly because as one moves deeper into academia, issues become more apparent, such as fewer role models. But also because I think culture is changing. We now talk about these issues, discuss them and have initiatives to correct them. Such as the opportunity to mentor fellow female ecologists in their path to success.